A very interesting car has emerged in South Africa. Rod and Greig Smith’s car is undoubtedly a 65 body from the evidence of an alloy skin and no holes in the front wings for sidelights. A Bluemel wheel is also present. Unfortunately the original chassis was butchered to move the motor back 4″ and the original numbers were drilled into and then welded over for new front engine mounts. The rear was also cut short to fit an angle iron frame into the boot with telescopic shocks for racing. Rod replaced the chassis 40 years ago and after a house move across the country, the remains of the original chassis were not kept. 40 years ago, matching numbers were not important. So what evidence can help in the dating of the car, when we have no original engine number, no chassis number, car number, or stamped transmission tunnel body number ? A first observation was that the car had strengthening flitch plates between the vertical portion of the scuttle and the body sides under the bonnet which will only fit in a vertical position rather than the more common horizontal triangular plates, often with a hole for the wiring harness. (see to left and right below) From other early cars like JR 939, GL 822 and VG 6267 it seems that this is definitely an early feature and has changed to the later design by chassis 179500-ish or earlier. So that suggests this car was originally mid-1933 build and of a body number under 100 (although the relationship of the body number to chassis number in earlier 65s is far from linear – sadly too few are recorded. The car has a 3 synchromesh 4 speed box and a sports ratio back axle which on inspection, revealed a build date of late June 1933. 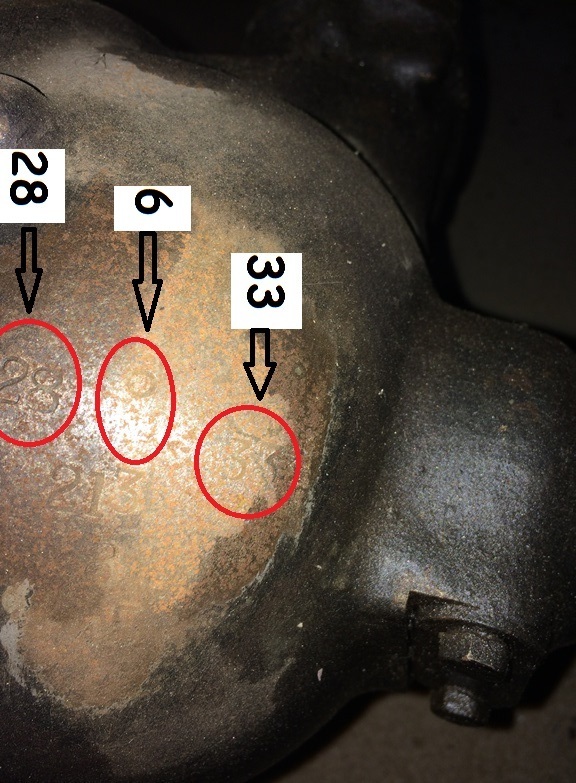 As the casing also revealed the 8/45 marking signifying the 5.625 ratio that would have been supplied when new, this corroborates that it is likely original to the car. The body, on inspection, reveals the “sharp” scuttle top edge of the very early cars which is mentioned in this post. Other than Nick Boorman’s car, body number 24, there are presently NO other cars known with this feature other than the published photographic evidence of the RHD 1933 car ALE 598 (physically present in the December 29th Light car write up) and the LHD Austin publicity shot car, pictured in the June 23rd 1933 Light Car unveiling report. The LHD was likely “the first one finished” in order to get the picture out – but just how early were the first ’65’ cars physically in existence*? We are left with the possibility that this South Africa body was stamped in the low tens perhaps. And that at least one of the major components supports the original car was an early one. Does anyone have contact with EV8880, in the Register as body number 10, and seemingly registered in January 1933*? Car JR939 (body 23) appeared several years ago on the Friends’ Forum after an ebay advert and images appeared. It would also be good to learn more about that car, last heard of in Sussex six years ago and presumably now in restoration. In all cases, in interrogating the Survivors’ Register information where there is not an utterly complete ownership and service history (!) we must not discount that an early numbered body could have replaced a damaged later one or vice versa, in private or factory hands. 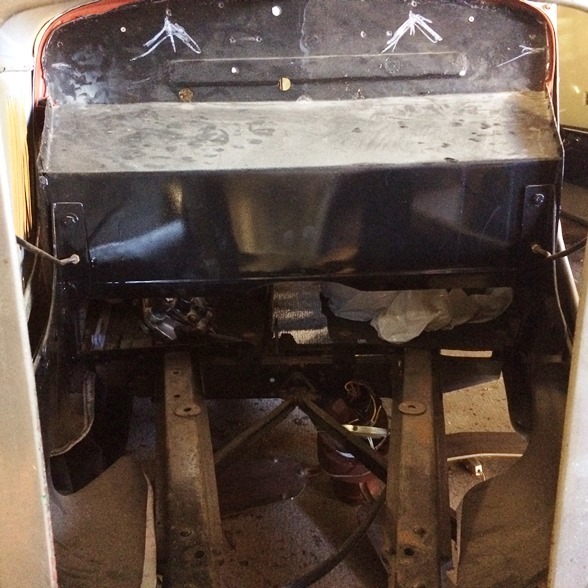 Where the chassis/registration date differs from the general registration range of the car, one must investigate the chassis for the identifying features characteristic of the 65 and Nippy. Note: crash boxes ended about chassis 179403, from Gould’s (Wyatt) book, so that suggests the 3rd gear synchro box was supplied for all 65s after body 80 or 90. Synchro on 2nd came in at 198678.